In 2018, the Department of the Prime Minister and Cabinet issued a statement about a new mandatory credit reporting regime, which requires authorised deposit-taking institutions such as banks to submit more in-depth information about their customers. Although it is limited to ADIs (Authorised Deposit-Taking Institutions), some provisions may extend the requirements to non-ADIs in the future. In the past, Australia’s Privacy Act 1988 was used. It stated that credit providers could use discretion when deciding what information to share about customers. Credit reporting was voluntary rather than mandatory. If information about a customer was not reported, it could cause another creditor to make a decision that may not benefit the creditor or the consumer. The purpose of the new CCR regulation is to give creditors a more personalised and comprehensive view of each person’s creditworthiness. Also, it is intended to boost competition in the lending market, which can benefit both creditors and consumers. It is important to understand CCR and its implications for you and creditors whether you are a first-time home buyer who is looking for a loan or just a regular Australian who works hard to pay your living expenses on time. 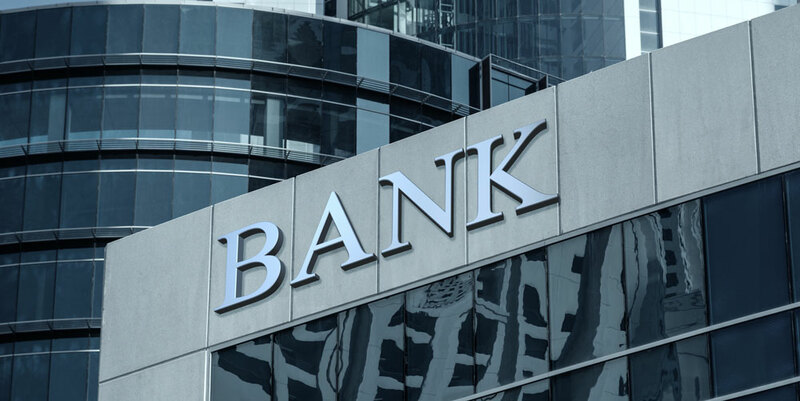 With the growing number of massive data breaches and the push for tighter online security, you are probably concerned about banks or other ADIs sharing your personal information. Although many publications outline benefits for banks and creditors, many Australian consumers are left wondering what the benefits are for them when the risk of data breaches always exists. One good and significant aspect of the change for consumers is the nature of the information that is reported. The new regulations require more comprehensive reporting of positive information about consumers. As Experian outlined in a recent publication, positive information helps borrowers by showing lenders a person’s repayment history on previous or current debts. Under a negative reporting system, your hard work on paying your financial obligations on time would not be visible to potential creditors. In the past, this may have meant that you would be denied a loan if you had a few negative items on your report. Now, creditors can use more detailed positive information to weigh against negative information to better determine if you will repay a loan. A creditor who sees a few negative items but a long and stable history of paying financial obligations on time may be more likely to approve you for a loan that you need. The key idea to remember with CCR is that banks now have the pros of lending to you at their fingertips instead of just the cons. As someone with a reasonable repayment and credit decision history, you will have more access to home loans, auto loans and personal loans as well as improved terms. If you have a strong account of paying your creditors, you may qualify for more competitive rates than what you may have qualified for in the past. For example, a creditor in the past who approved you for a loan may have assessed a rate of 10 per cent because the lender only saw a few overdue payments, some outstanding bills and a few credit applications. If the lender can now see that you paid nearly all of your bills on time during the last several years and wisely closed some credit accounts when they were no longer needed, that lender will be more likely to view you as a responsible borrower and may give you a better rate. Are you wondering if Australians are receptive to the new CCR changes? According to a survey by Experian, nearly 30 per cent of Australians wanted to increase the possibility of people with a positive credit history being approved for a loan. Forty per cent of respondents were supportive of sharing more data if it would help them and others gain access to funding, lower rates and fewer bad debt situations. The most significant benefit of CCR for lenders is a more holistic picture of a consumer’s spending and borrowing habits. In the past, lenders often used the debt servicing ratio to determine loan sizes for borrowers. As the Reserve Bank of Australia wrote, the payments for those loans did not usually exceed 30 per cent of the applicant’s pre-tax income. Since lenders did not have comprehensive and personalised information about borrowers available to them, interest rates, loan amounts and repayment terms were much more standardised. With CCR, lenders can determine the right amount, interest rate and repayment term to assign based on the balance between positive and negative information about an applicant. For lenders, this means that it will be easier to reduce the number of bad debt accounts. Also, they can reduce the number of infringements and other negative effects on them. They may be able to accept more applications with the availability of comprehensive data, which means more revenue for them. Are Australian Lenders Ready for the Changes? While the changes mean more work for lenders, the majority of them now view CCR in a positive manner and are starting to feel the benefits. Before the new rules were implemented, there was some confusion about CCR. In a report that was published by Parliament, the government said that Australia’s four biggest banks were required to start reporting comprehensive data on at least 50 per cent of their accounts in July 2018. Within the 12 months following that data submission, they were required to report balances on the same accounts. The government conducted interviews to analyse the readiness of the first banks to participate. The comprehensive benefits expanded beyond the advantage of responsible lending. Larger participants had a strategic advantage by starting earlier. Most participants wanted harmonised data structures. The organisations that would benefit the most were not ready. From the interviews, the government found that about 50 per cent of respondents believed that the mandate would only result in mandatory supply, and the others believed that it would comprise both supply and consumption. Nearly 40 per cent expected to start their reporting activities in early 2019 rather than in 2018. About 60 per cent believed that the mandate would commence at the end of 2018 rather than in the middle of the year. Forty per cent of the participants said that they would wait until the mandate to start reporting data while around 30 per cent were already supplying information or both supplying and using data. The rest of the respondents planned to supply it before the mandate. Auto financing organisations led in readiness. At the time of the report, 80 per cent of the institutions that were already reporting and using data were auto financing companies. About 60 per cent of the other organisations were unsure about the readiness of their data, and the category of mutuals fell behind with only three per cent of organisations reporting adequate readiness. What Is the Latest CCR News? You may be wondering if there are statistics about the success of the new rules as they relate to you and other consumers. Although there is limited information available at this time, government authorities and lenders across Australia are optimistic about the positive impact of the new changes for both consumers and ADIs. Much of the useful data is commercially confidential or sensitive and cannot be shared this soon. Information across vital and multiple data sets is hard to access because of confidentiality. CCR is dynamic and is not mature enough yet to produce a history of data for complete measuring. What do the CCR rules mean for you as a unique individual? If you reach out to Quantum Finance Australia, one of our professionals will be happy to discuss the topic with you and answer your questions. Our priority is to keep you informed about financial news that will help you make the best choices for your situation, and we will bring you more information in the future as CCR progresses and more statistics become available.